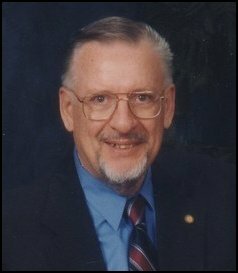 Joseph T. Primeau, 68, of Decatur, Alabama, died Wednesday, October 12, 2011, at Parkway Hospital. Joe was born July 1, 1943, in the village of Rolette, North Dakota to Joseph and Aimee Primeau. He was reared on a farm near St. John until his father and mother moved to Minot, North Dakota for work. He entered the Army in 1964 and served overseas, including in Vietnam. He served in the Army for 23 years including in Georgia, Germany, Hawaii, and Kentucky until he retired. He married Charlotte Vienneau in 1973 in Columbus, Ga. Survivors include his wife, Charlotte and their son, Kristian Primeau, Decatur; daughter, Ann Primeau Asmundson, Canton, Ga.; brothers and their spouses, David and Kate Primeau, Emporia, Kansas., Jonathon and Faye Primeau and Gregory and Mary Primeau, Minot, N.D.; sisters and their spouses, Kathrine and Majid Musa, Katy, Texas; ReNae Primeau, Surrey, N.D., Joan and Harley Varberg, Mary and Rod Emly and Kathleen Lewald, Minot, N.D.
A private memorial service was held.